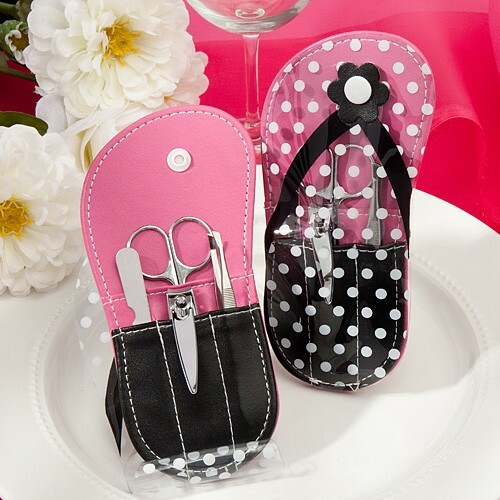 Every woman knows that when her flip flops come out of the closet, the summer has officially begun. She also knows that it’s mani and pedi time! So, Fashioncraft decided to pay homage to these beloved summer starters all in one fabulous favor. 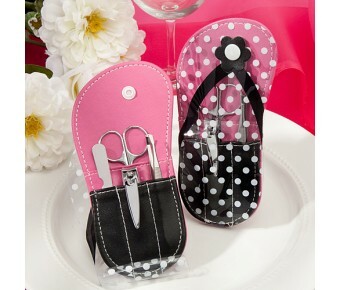 And, once your guests see these cute and useful manicure sets, we’re guessing they’ll jump - or flip - for joy!